Close one. 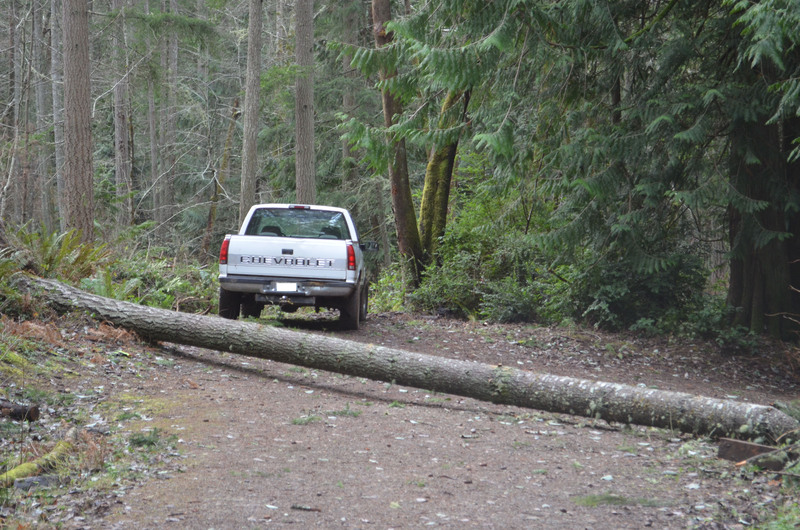 A windstorm brought down a Douglas fir within 20 feet of this truck. Now that my father is in assisted living, and the small-engine mechanic tenant has left, I’ve no one left to run a chainsaw, man-handle the 200 pound brush mower, start the gas-powered trimmer, or fix the riding mower that always seems to have intractable problems. I’m on my own now. 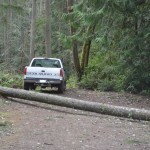 Thus, when a large tree fell across the driveway the other day, I felt frustratingly helpless. I have a small Stihl chainsaw that belonged to my father, and I’ve had lessons in filing the chain, starting it, and even running it. But I cannot start it alone (it requires more strength and weight than I have), and, frankly, I’m scared of the thing. I’ve a poor track record with knifes and saw blades, so imagine what I could do to myself with a chainsaw (my father told me I’d probably cut my head off). I’m therefore left to solicit help from others in exchange for firewood. Such is the arrangement that I have made with a neighbor to cut up the fallen fir. However, I wanted to do something while waiting for him besides feeling the helpless maiden, so yesterday I limbed and topped the entire tree with my pruning saw and piled the branches into a towering heap. I know a guy with a chainsaw could have done it in minutes, but it was good exercise and made me feel that I was at least putting forth the effort. 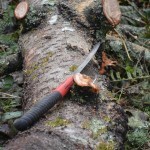 It is truly amazing what I can do with my pruning saw. 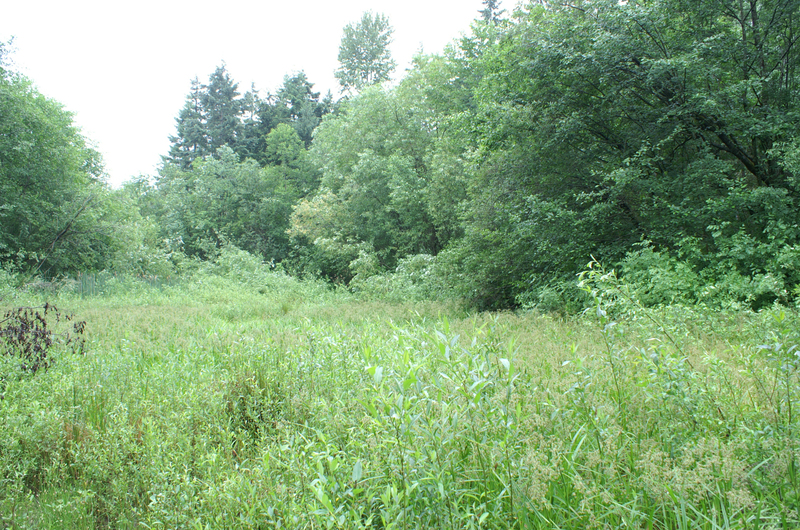 In fact, I accomplish all of my brush cutting with a pruning saw and a machete. It’s just the big trees that I can’t manage. And the thick grass where I can’t get the regular lawnmowers. For those areas, I use a scythe. 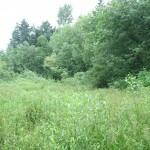 Since my father modified the dam, what is a lake in winter requires mowing in summer. When I explain to people that I almost exclusively use hand tools, they seem to presume that I am intentionally pursuing a ‘green’ lifestyle, but it is really more out of necessity. 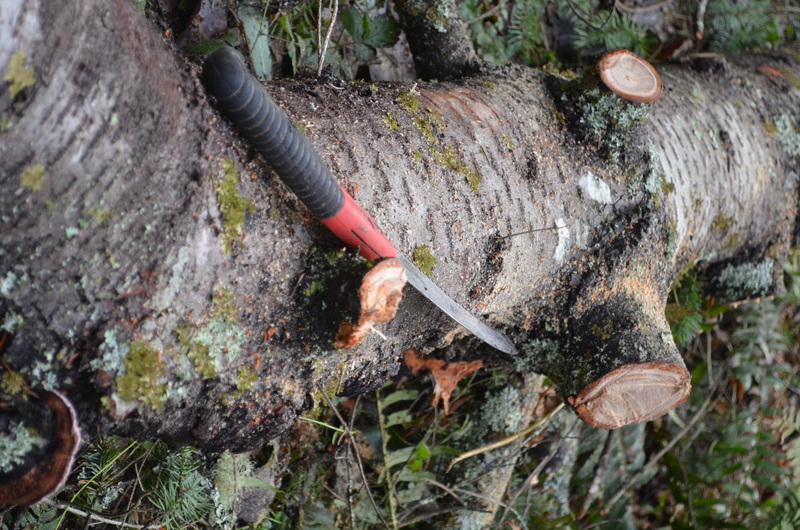 Still, I appreciate the quiet of a handsaw over the roar of a chainsaw, and the machete is much less destructive than a gas-powered brush blade by allowing me to selectively remove some plants and leave others rather than leveling everything. Slow can be good.